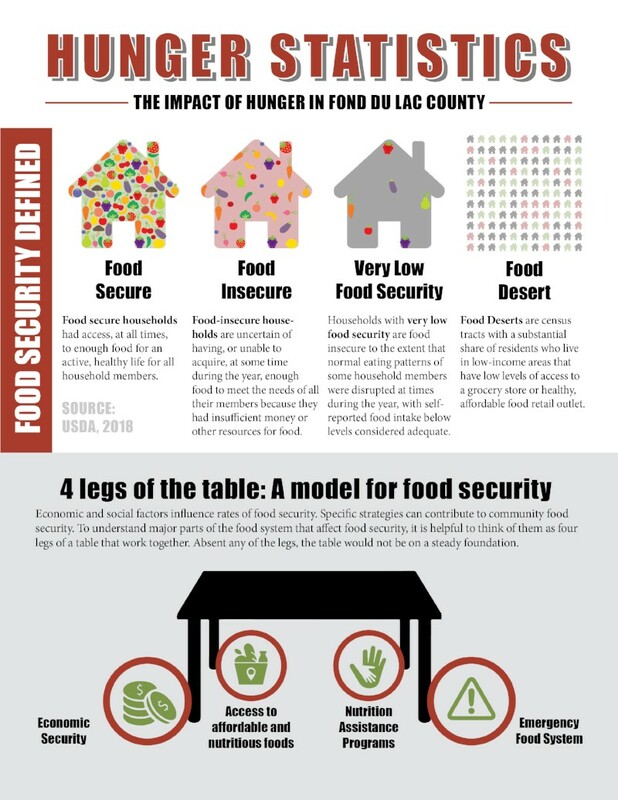 Poverty puts households at much greater risk for food insecurity. Increased costs in housing/rent and other living expenses often means that families cut their food expenses. Applied Population Lab, University of Wisconsin-Madison. American Fact Finder - https://factfinder.census.gov/faces/nav/jsf/pages/index.xhtml - find popular facts (poverty, income, etc.) and frequently requested data about your community. Small Area Income and Poverty Estimates Program - https://www.census.gov/programs-surveys/saipe.html - The U.S. Census Bureau’s Small Area Income and Poverty Estimates program produces single-year estimates of income and poverty for all U.S. states and counties as well as estimates of school-age children in poverty for all 13,000+ school districts. University of Wisconsin –Madison Institute for Research on Poverty - https://www.irp.wisc.edu/ - IRP is a nonpartisan research institution dedicated to producing and disseminating rigorous evidence to inform policies and programs to combat poverty, inequality, and their effects in the United States. United Way of Wisconsin ALICE Reports - https://unitedwaywi.site-ym.com/general/custom.asp?page=ALICEbyCounty&DGPCrSrt=&DGPCrPg=1 – The following links present a snapshot of ALICE in each of Wisconsin's 72 counties, including the number and percent of households by income, Economic Viability Dashboard scores, Household Survival Budget, key economic indicators, and data for each municipality in the county (where available).